Star colt The Autumn Sun steps out over 2000m for the first time in the Rosehill Guineas. Champion trainer Chris Waller believes multiple Group One-winning three-year-old The Autumn Sun will only get better, but whether the prized colt remains in training long enough to realise that potential remains to be seen. While the Waller-trained champion Winx continues to reign supreme in Australian racing having been unbeaten for almost the past four years, young stablemate The Autumn Sun has stamped himself a legitimate star in his own right with one luckless defeat from eight starts which include four Group One victories. The Autumn Sun stormed home for a thrilling Randwick Guineas win last start and is the $1.35 favourite to win another Group One in Saturday’s Rosehill Guineas (2000m), stepping beyond 1600m for the first time. In the following race on Saturday, Winx is expected to claim her 32nd consecutive victory and 24th Group One in the George Ryder Stakes, for which she is at $1.06. “I don’t think 2000 metres will be any problem at all for The Autumn Sun,” Waller said, suggesting he also expects the colt to settle closer than he did in the Randwick Guineas. 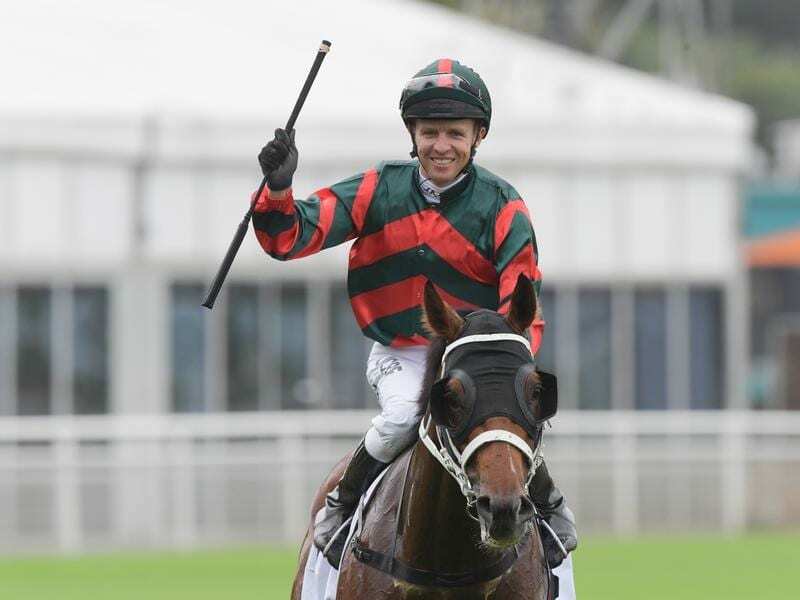 The Autumn Sun’s future beyond this racing season could be in the breeding barn given his value to co-owner Arrowfield Stud where he will stand once he retires. Waller said he had yet to convince Arrowfield’s John Messara to race the colt beyond this season. “We haven’t had an in-depth conversation about it,” Waller said. “He has raised the value of the horse and I’ve raised, which he’s well-aware of, of how successful he can be if he raced on for another year. “I see The Autumn Sun still as an immature horse and I’m not going to compare him to other horses, I’m just saying what I see in him. “And for what he’s done at this stage of his career and win not just one stallion-making race but basically four stallion-making Group One races is quite remarkable. “So if he’s 90 per cent mature and 10 per cent to come, well we’ve got something pretty special to look forward to and those horses don’t come around very often. “I train a lot of horses and he is right up the top. Waller won last year’s Rosehill Guineas with D’Argento and he also has Dealmaker in Saturday’s race.